The award will reward a high standard national newspaper that displays consistent high quality printing, reproduction and finishing. The degree of difficulty, level of execution, and quality of print and finishing will also be assessed. Three consecutive issues of the newspaper must be submitted for judging. 1- Each entry must have a completed entry form with a 250-word summary, high res jpeg images of the jobs, and the company logo. 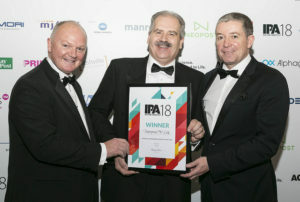 2- Two samples of the physical print job must be sent to the Irish Print Awards at Unit 55 Park West Road, Park West Industrial Estate, Dublin 12, D12 X9F9. 4- All entries must be submitted online.